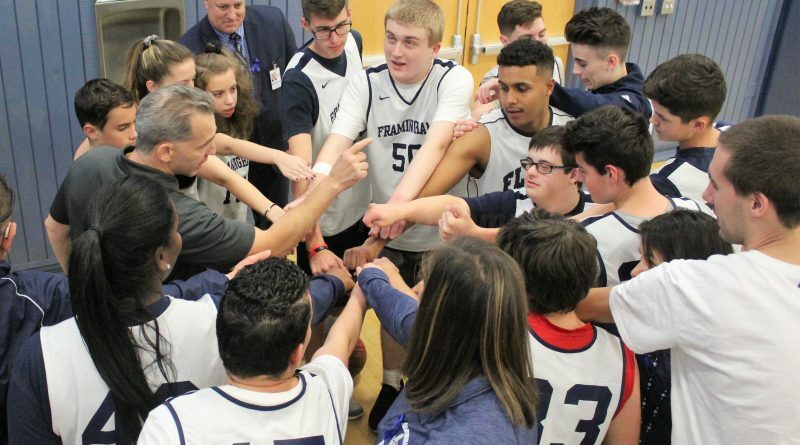 FRAMINGHAM – Monday afternoon was the final home game for the Framingham High unified basketball team. The Flyers hosted Natick, and defeated the Red Hawks in the final seconds. This is the inaugural season for the unified team, that also had games against Newton North and Newton South high schools.